When you get in a car you buckle up, right? So why is it that when people get on a bike they don’t put on a helmet? It’s the same principle. Safety should always come first. We push and push our kids to put on their helmets, but many times we, as adults, do not wear helmets. Why is that? Are we scared we’ll look uncool? Do we not want to spend the money? It all needs to stop. We are just as likely to get into an accident or fall off our bikes as children are, so let’s practice what we preach and put a helmet on it! We reviewed numerous helmets and chose the best for each category. Whether you’re a recreational biker or a competitive racer, we’ve found the best bike helmet for your needs. We chose these helmets based on customer reviews, weight, padding, size, material, visors and other features. Before searching for the right helmet, it is important that you know how it should fit on your head. A helmet will not protect you if you do not have it placed properly on your head correctly, so watch this video carefully and mimic it with your bike helmet. 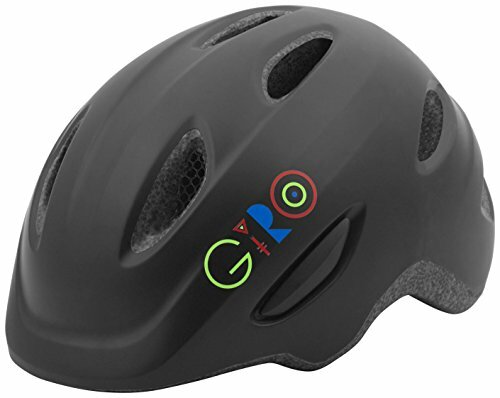 We’ve chosen this Giro Scamp MIPS as the best helmet for infants and toddlers because of its features, like the MIPS technology, which stands for multi directional impact protection system. MIPS is a Swedish technology that rotates upon impact to absorb the energy created in a crash. Giro also included 8 vents in this helmet for ultimate protection and comfort for your little one. Common features found in Giro’s adult helmets can be found in this child helmet because a crash can hurt a child just as much as an adult. This helmet is made of in-mold polycarbonate and has EPS foam liner to protect your child’s head. It has a Roc Loc Jr. fit system in addition to a pinch-guard to help fit the helmet to your child easily. It comes in different colors so your child can ride in style. The Razor V-17 Child Multi-sport Helmet has 17 vents to help keep your child’s head cool and protected. The padding on the interior of the helmet makes for a comfortable, secure fit. The interior aides in protecting your child’s head from taking hard hits due to its ergonomically designed foam padding. 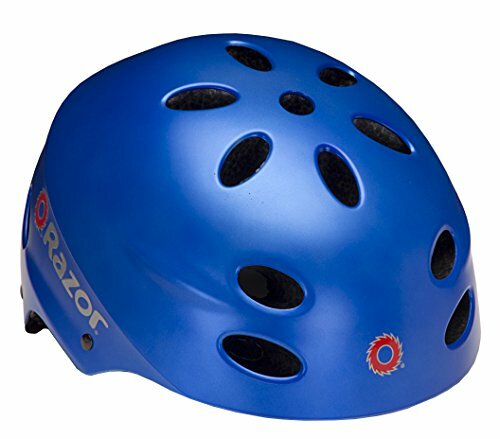 This helmet can be used for more than just biking, your child can use it while riding a scooter, skating, rollerblading and more. Many reviews we read said that their child loves the helmet and doesn’t mind wearing it since it comes in different colors. So hopefully your child won’t fight you on wearing it. Tip, customer feedback states the sizing isn’t always correct (runs big) so make sure you measure your head properly. If you’re not a competitive biker and just enjoy biking for exercise or recreation, this is a great bike helmet at an affordable price. 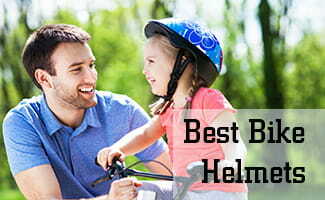 The Schwinn Thrasher Adult Micro Bicycle Helmet is our choice for Best Adult Helmet. It has a dial fit adjustable design to give you the most comfortable fit. There are 21 flow vents to keep your noggin cool while you cruise into the breeze. It has a built-in visor to provide you some shade and on the interior there are moisture wicking pads to help keep you dry. 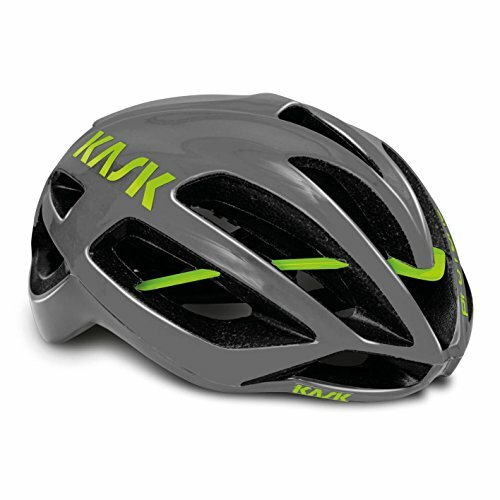 If you’re looking for speed, the Kask Protone Helmet is our pick for Best Bike Helmet for Racing. The design of the helmet helps you glide smoothly and gain momentum, allowing you to get to the finish line faster. The shell is made of polycarbonate, and the EPS (expanded polystyrene) foam in conjunction with the Octo fit make for a comfortable position. Many aero road helmets have few vents to help with the aerodynamics but this helmet has vents which is a huge plus so you aren’t getting too hot/sweaty on the climbs. The front has 5 large and 3 small vents, which make it look like a typical helmet, but the back of the helmet is mostly enclosed to help with airflow. The eco-leather chin strap makes for a comfortable fit as well, which customers love. Note that this helmet does not have a visor, but typically for racing you don’t have a visor. 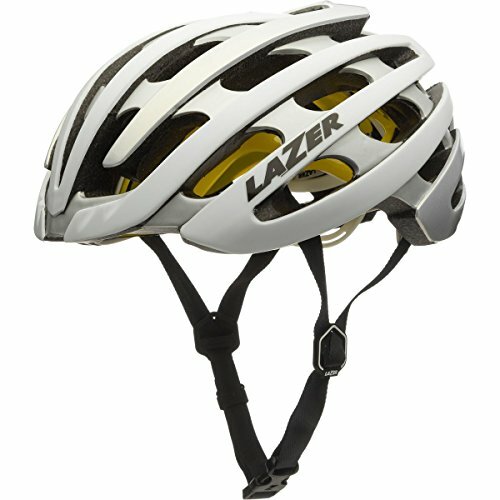 If you’re a bit of a daredevil, we suggest our pick for Best Bike Helmet with Ultimate Protection, the Lazer Z1 MIPS Helmet. It has an astounding number of vents, 31 to be specific. So the air flows effortlessly from the front of your helmet through to the back keeping your head cool and making you feel like a fan is blowing directly on your head. It also has an ARS Advanced Rollsys retention system to help you adjust the fit. You can adjust the headbasket to five different positions and it can fit a ponytail comfortably. It is made of in-mold polycarbonate shell material and EPS impact foam to offer optimum safety. The helmet protects your temple (which is the most common area of the head to make an impact) and is aeroshell compatible so if you’re looking for speed too this is a great option. Tip, the aeroshell also works as a great raincover. 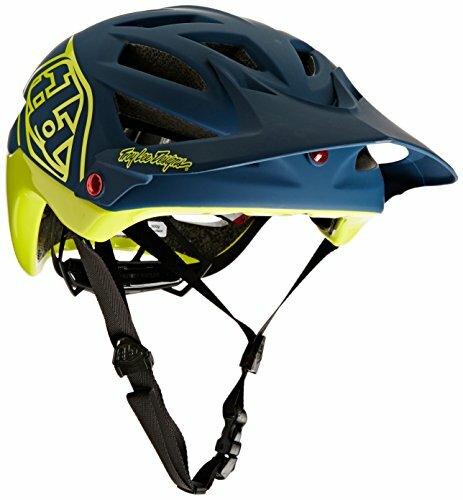 If mountain biking is your passion, the Troy Lee Designs A-1 Helmet is our pick for Best Mountain Bike Helmet. Made of polycarbonate and EPS impact foam, this helmet can protect you from the dangers involved in mountain biking like falling rocks. The helmet covers more of your head so you’re covered from all aspects in case a rock falls or in case you crash. There are 16 vents to help keep you cool and a cam-lock stabilizer to adjust the helmet to give you the perfect fit. Another feature to help with keeping you cool is the synthetic liner with CoolMax pads to help manage moisture. For best use, ride through the mountains or cross country. Look your helmet over regularly to make sure it’s still in working condition. Wearing a helmet is important but if it doesn’t fit properly or is damaged it can be useless. Is Your Child Outgrowing Their Helmet? Kids go through growth spurts, which means they grow out of their clothes and protective gear. Check your child’s helmet regularly to make sure it’s still fitting them properly. You may need to purchase a new one that fits them better. Inspect your helmet and your children’s helmets regularly for any damage. A cracked or dented helmet will not protect you from a fall or wreck. Don’t forget to check the inside of the helmet for any damage as well. Some testing shows that sunscreen and insect repellant can damage the interior of a helmet. If the helmet doesn’t look the same on the inside as it did when you purchased it, it probably needs replacing. Have You Gotten in an Accident? If you’ve gotten into an accident, manufacturers recommend replacing your helmet. Even if you can see any cracks there could be damage on the inside or outside. A damaged helmet will not protect you in an accident, so remember to keep yourself safe. 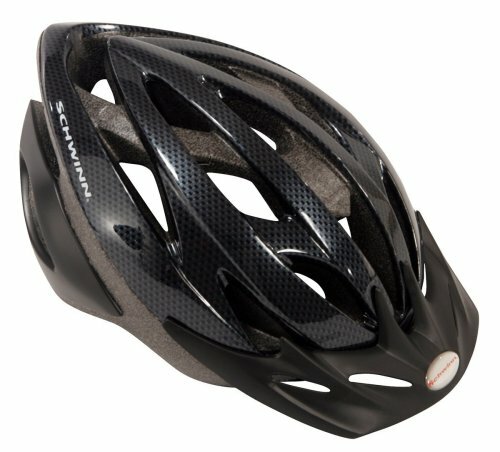 Which helmet would you recommend?